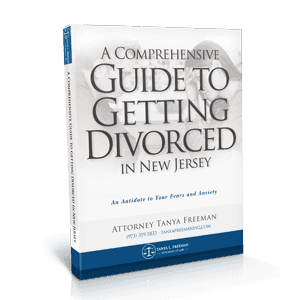 Learn more about family law in New Jersey by reading our free family law guides created by New Jersey divorce lawyer Tanya Freeman. Download them all for free! Tanya Freeman Law LLC is a New Jersey law firm advocating for clients in Divorce, Family Law, Child Custody, Child Support, Alimony, Domestic Violence, Car Accidents and DUI Charges. Based in East Hanover, and Jersey City, Tanya Freeman Law LLC is ready to help you resolve your legal problem. Choosing to dissolve your marriage can be stressful and overwhelming. There are many decisions you have to make, such as child custody and spousal support. During your divorce, you may need New Jersey divorce lawyer to advocate for the best interests of you and your family. As a divorce lawyer, Tanya L. Freeman can help you navigate the complexities involved throughout the divorce process. If you are facing legal issues that impact your family’s future, it’s easy to become confused and frustrated. By consulting a New Jersey divorce lawyer who practices in Family Law, you can learn more about the process. The well-being of your children is always a top priority. 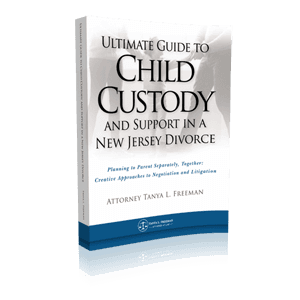 Tanya L. Freeman has experience in all aspects of child custody law, and is dedicated to helping you navigate the custody process. Tanya L. Freeman will help you to protect your children’s right to financial security. Whether you are facing delays in receiving child support, or are unable to determine what the appropriate level of support should be, Tanya L. Freeman can guide you through the important factors you need to consider. When you get divorced, there are many decisions that you and your ex-spouse need to make, including financial support. Alimony, or spousal support, can be an essential component in some cases. 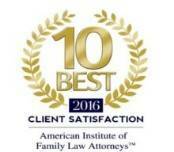 Tanya L. Freeman will work with you to reach an equitable alimony agreement with your spouse. Tanya L. Freeman helps those who are suffering from domestic violence. She has also fought for the rights of those accused of domestic violence. If you have suffered domestic abuse or have been accused of domestic abuse, call the office to arrange a free consultation. The dedicated divorce and family law attorneys of Tanya Freeman Law LLC serves clients in Morris County, Essex County, Hudson County, Union County, Passaic County, Somerset County, Bergen County, Monmouth County, and Middlesex County, and will see your case through from start to finish. Call today to set up a free consultation in either the East Hanover or Jersey City office. * Lead Counsel is a publication of Thomson Reuters. The Lead Counsel Rating is awarded to attorneys who maintain a clean disciplinary history, meet specific verified litigation requirements and receive multiple peer endorsements. 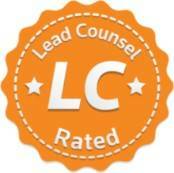 The selection process can be viewed at www.leadcounsel.org. No aspect of this advertisement has been approved by the Supreme Court of NJ. One of the best lawyers around. She always fights hard for her clients and never gives up. Mrs. Freeman has the knowledge of a lawyer who has been practicing for decades. She is the cream of the crop! Tanya is a great and very experienced attorney. She is always three steps ahead of the game. I can’t imagine dealing with difficult family law proceedings without her!